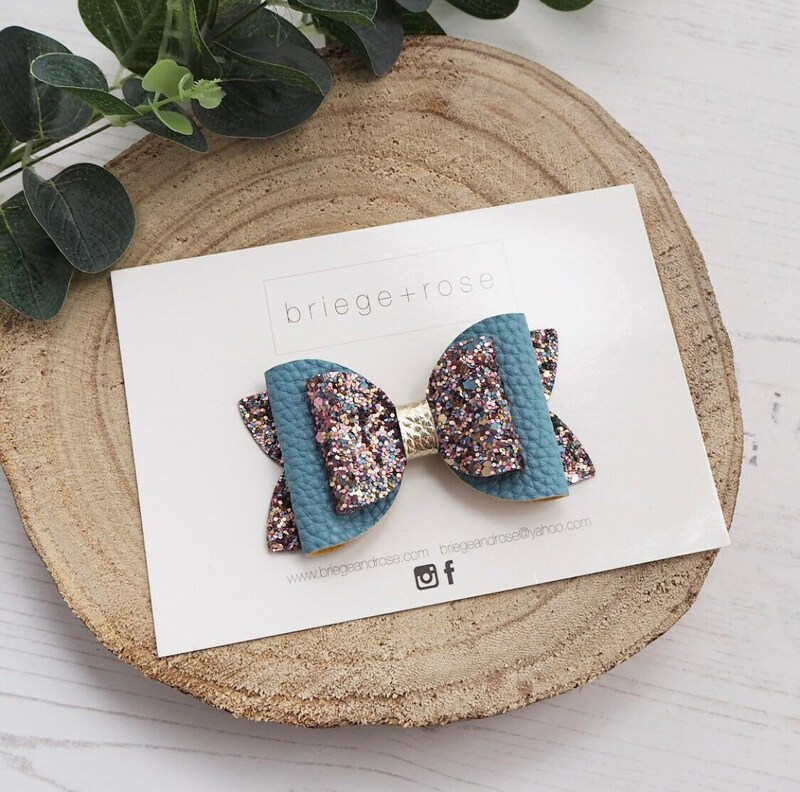 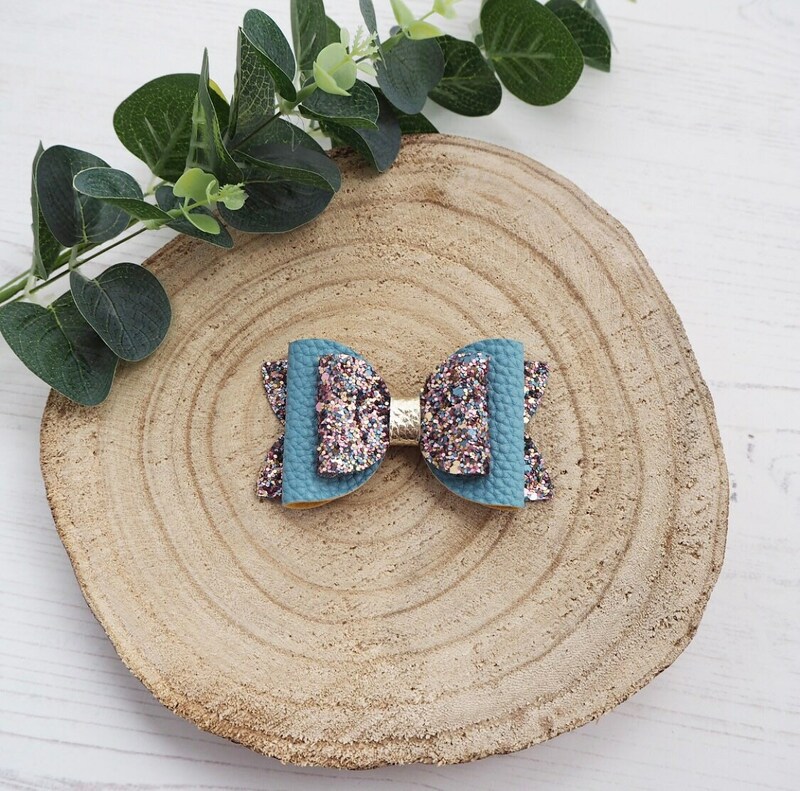 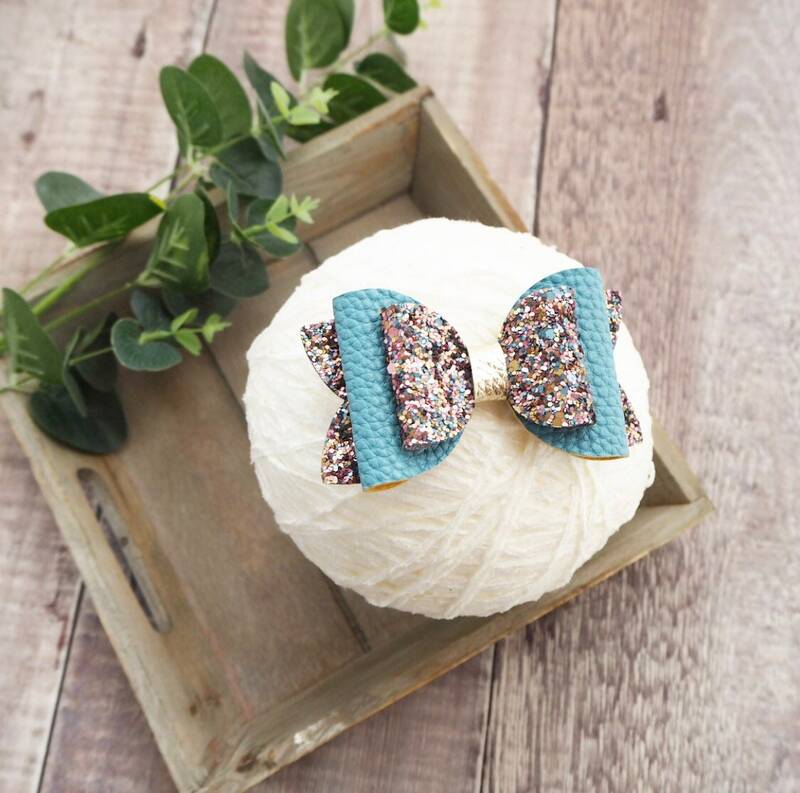 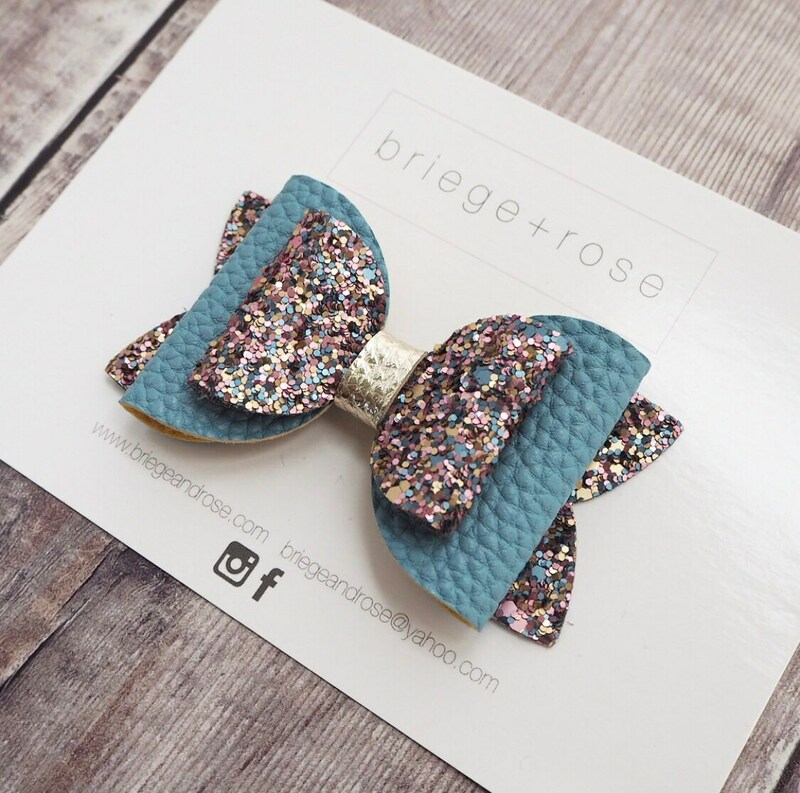 Our pretty Lottie style bow in a dusky blue faux leather and matte glitter mix. 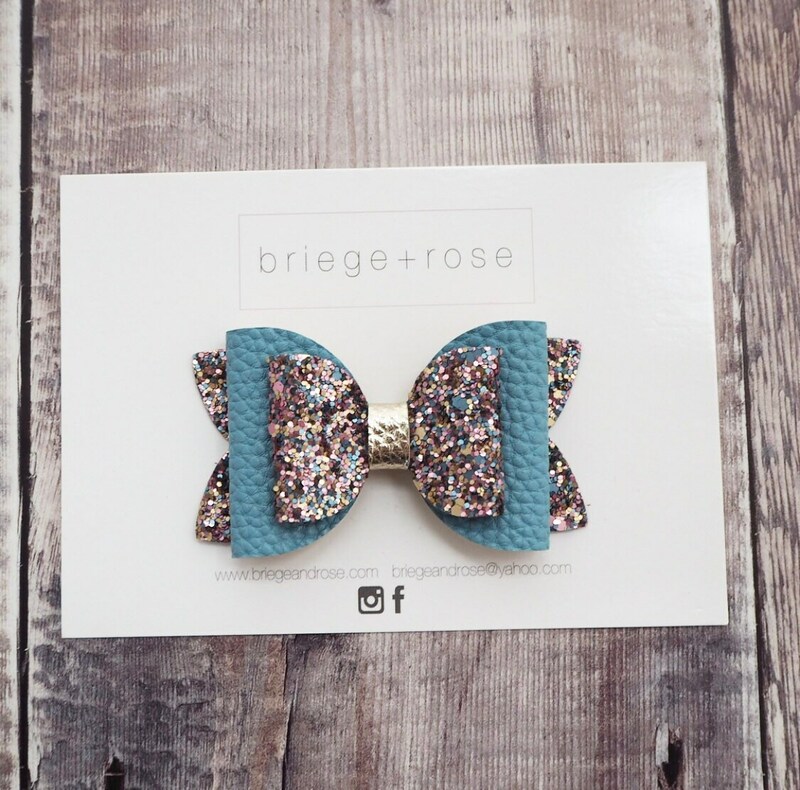 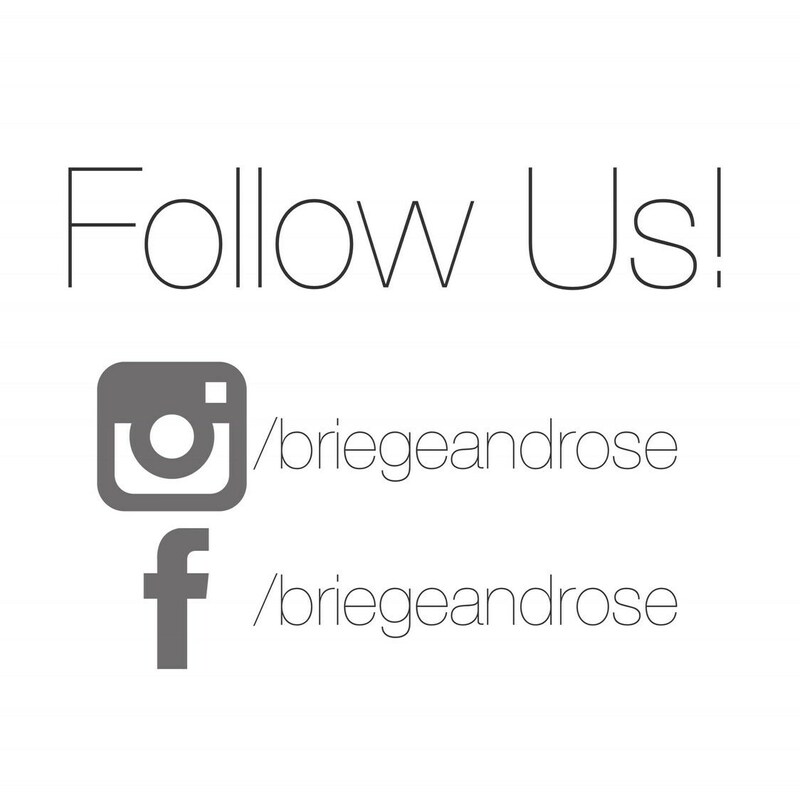 The bow is perfect for fall and comes on a clip or band. 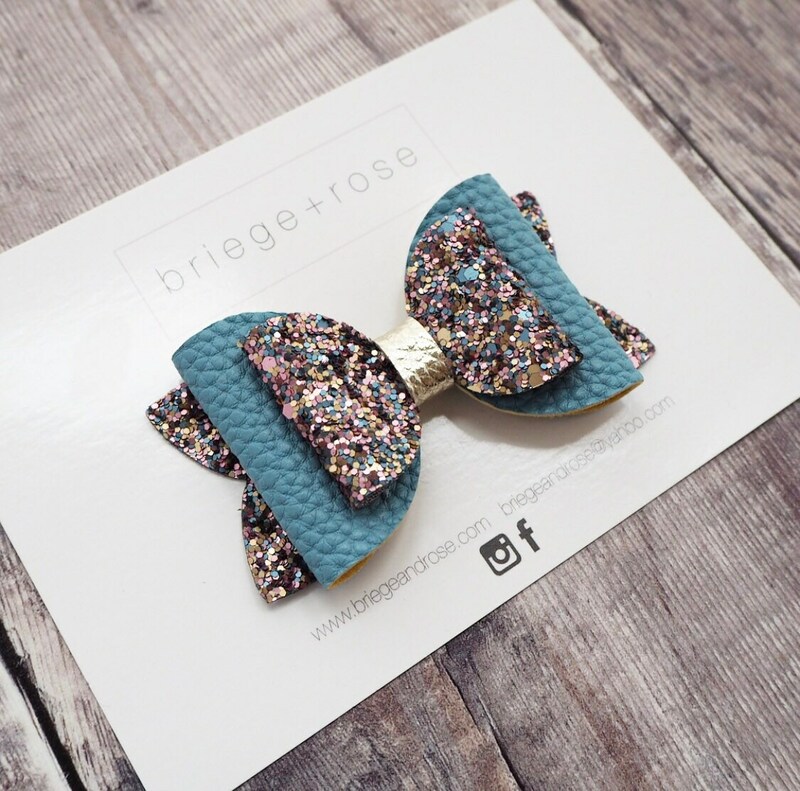 Approx 3.5"